When you bought a car you did it with sense. You saw your vehicle as a long term investment, as well as your means of getting around. Your car is important to you, so you want to make sure that you’re also investing in great car maintenance. It requires some effort on your part as far as checking your fluids every now and then, but it also requires some research. Before deciding on which auto mechanic to go to, make sure that they offer these three qualities. Honesty – In the automotive world it is easy to come across scams and less than trustworthy mechanics. Take a look at their reviews on google, are they mostly good? Is there a warning about this mechanic? These are important things to look for before getting a car service. 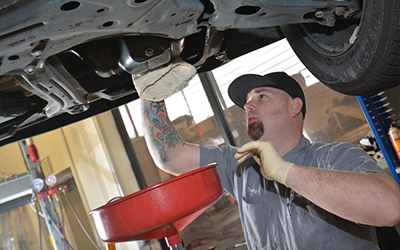 Experience – Go with an auto mechanic that has at least a decade of experience. Whether it’s the owner of the auto shop themselves, or the mechanics they have working for them, the more experience they have all together, the better the outcome will be with your car repair. Dependability – As we stated before, we know that your car was an investment that you made. You want to be able to trust the people that you leave your car with, and depend on them for the services they provide in a timely manner. There’s nothing worse than being told your car is ready, and then having that date extended over and over again. As you begin to shop for an auto mechanic to work on your car, we urge you to deeply research each and every option you have. If you’re looking for a car repair service that has these three qualities, look no further than your Top Rated Local® Auto Repair Shannon Family Automotive, for all of your car repair needs.